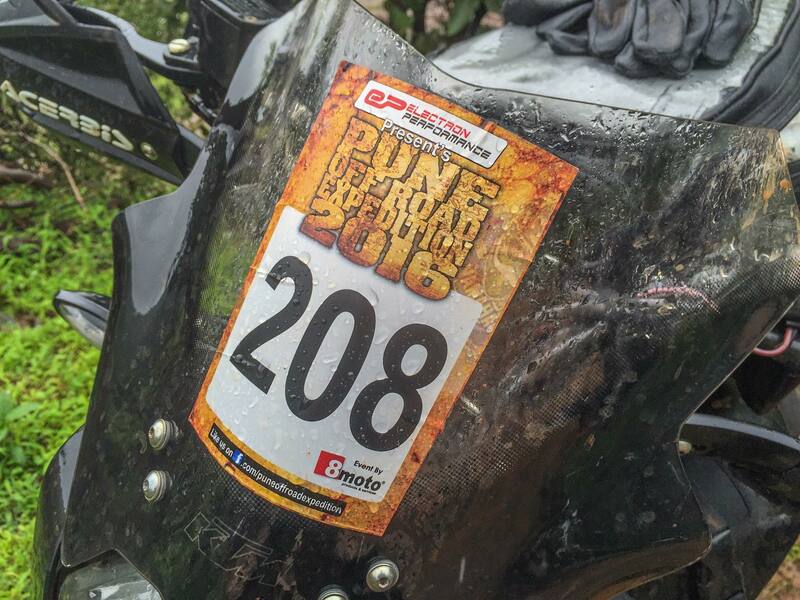 The third edition of the Pune Off-Road Expedition was held in Panshet near Pune on Sunday. It’s not a race. You just need to complete it. I managed to do that without dropping my motorcycle and without needing any help from anyone else. Ratchet performed brilliantly. The route is a 50 km long slush fest and the rain didn’t make things any easier. The climbs and descends were not too long. The key is to do the climbs at one go, otherwise you risk getting stuck in the middle and causing a traffic jam. 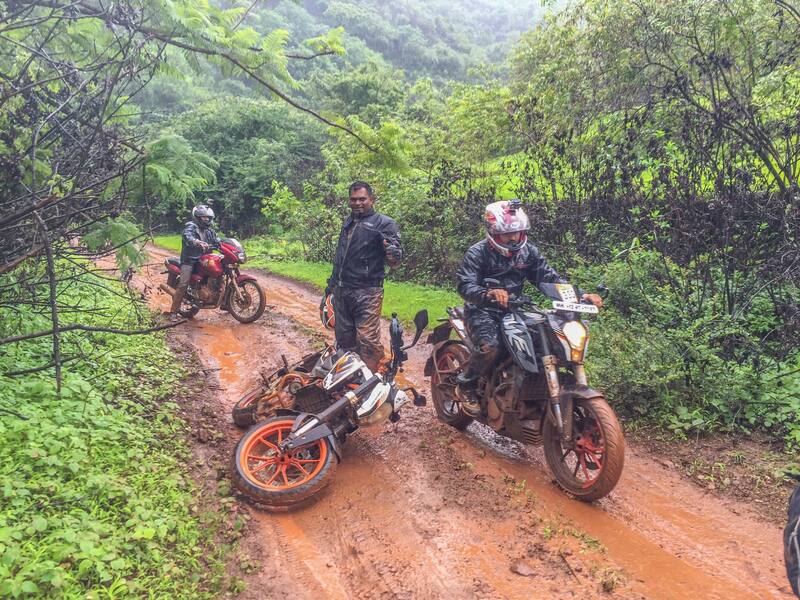 Participants are encouraged to ride in groups so that they can help each other if required. 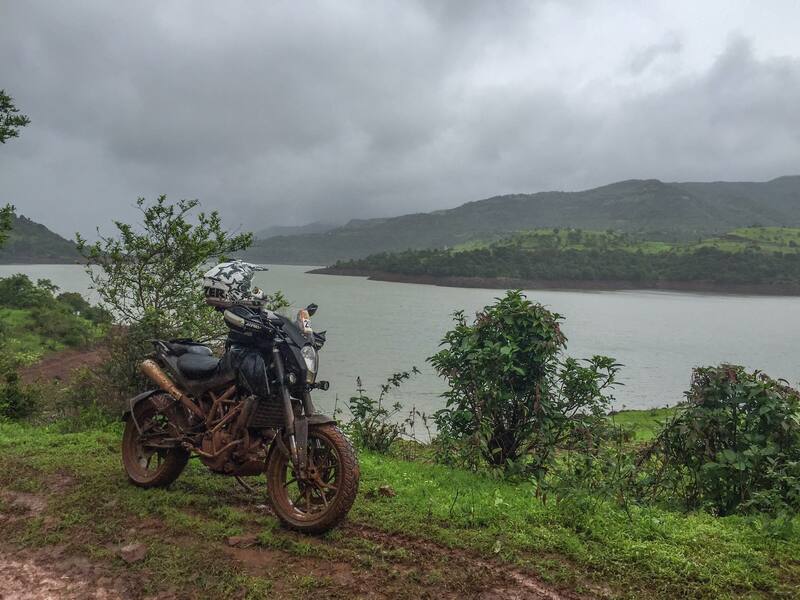 The route weaves around the banks of a water reservoir and is quite scenic. That almost got me into trouble a couple of times as I was busy enjoying the scenery instead of concentrating on the mess ahead of me. Like many others I took my own sweet time to complete the race. Slow and steady. Here is a video I recorded using my helmet mounted GoPro camera. Helmet mounted action cameras don’t do a good job giving an idea about the gradient of a slope since you are looking up or down the slope and the path appears relatively flat. To get a sense of the gradient and the difficulty level you need to record the happenings standing at the side of the path. 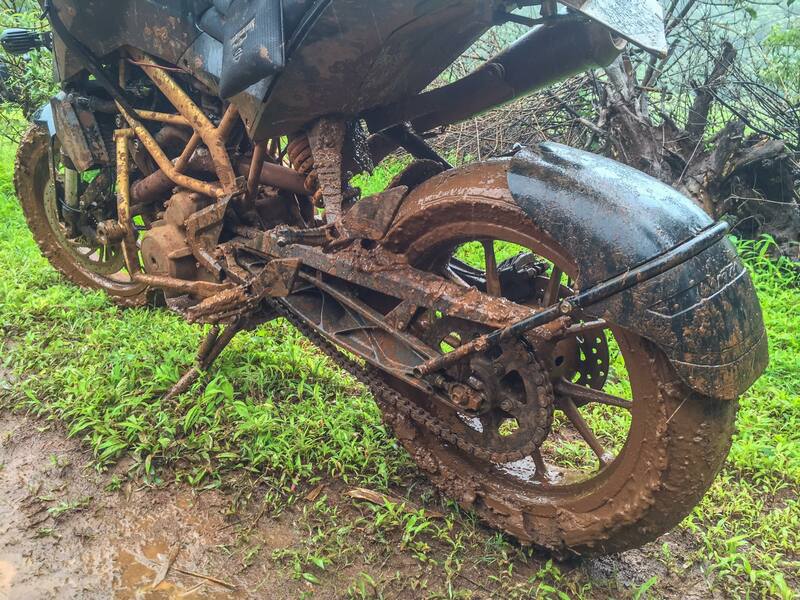 Our motorcycles got a proper mud bath. The turn around point of the Pune Off-Road Expedition was a stream just off the trail and we had to climb down a bit to reach the bank. 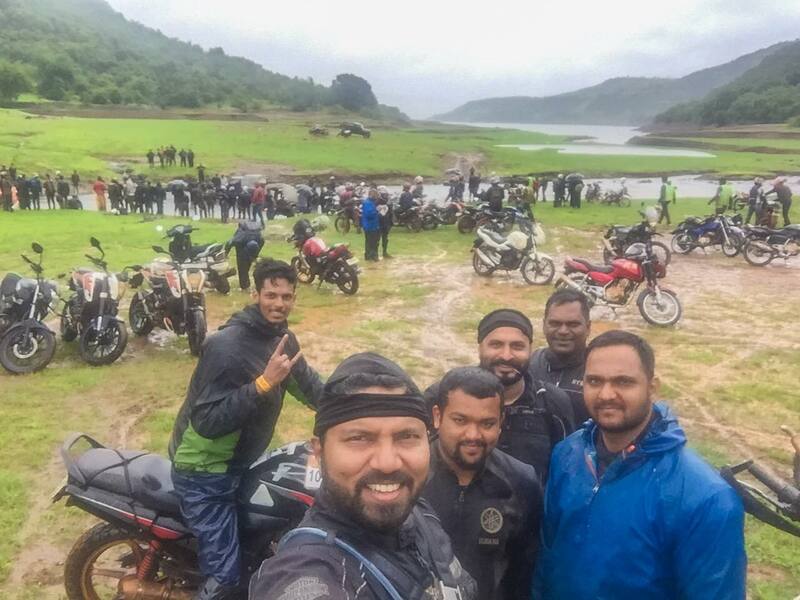 By the time most riders climbed back up from the bank to the trail to start the return journey the slope was practically impossible to ride up using the motorcycle’s own power. 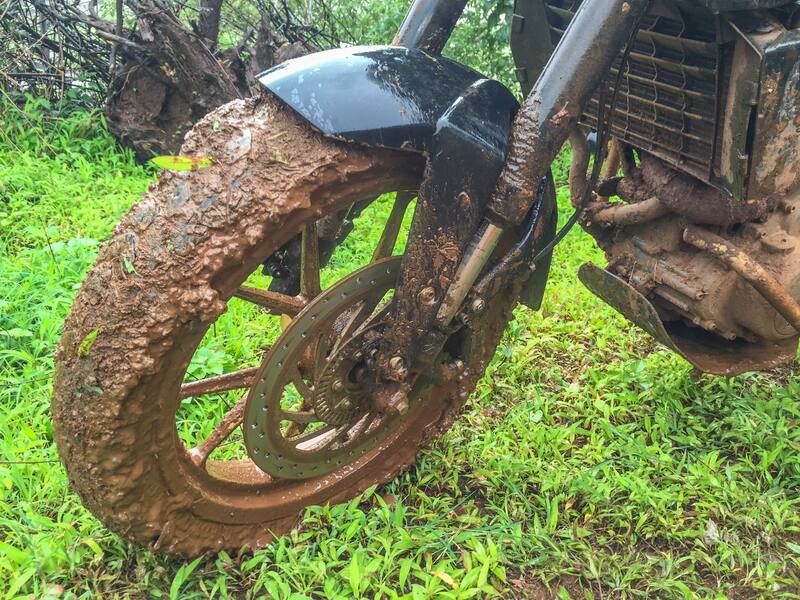 The slope was just wet and slippery muck with no sign of any stones or any hard surface for the rear tyre to latch onto. The climb was made using a combination of horse power and human power. 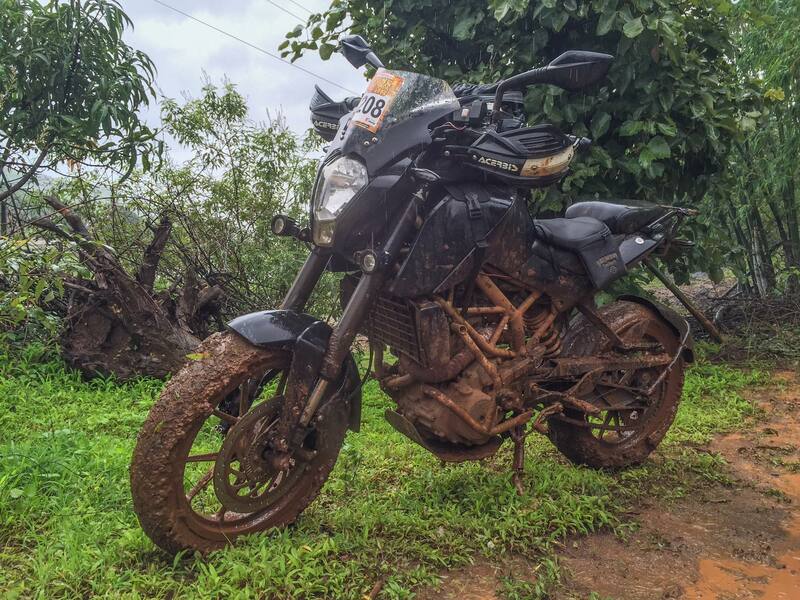 One of the participants of the Pune Off-Road Expedition drove his pimped out Gypsy in a stream without bothering to check the depth of the water. He ended up drowning his vehicle, killing his engine, wrecking his winch and had to be fished out by other 4×4 vehicles, thus providing entertainment for everyone else. While riding to Panshet Altaf Khalifa decided to pull a fast one on us. 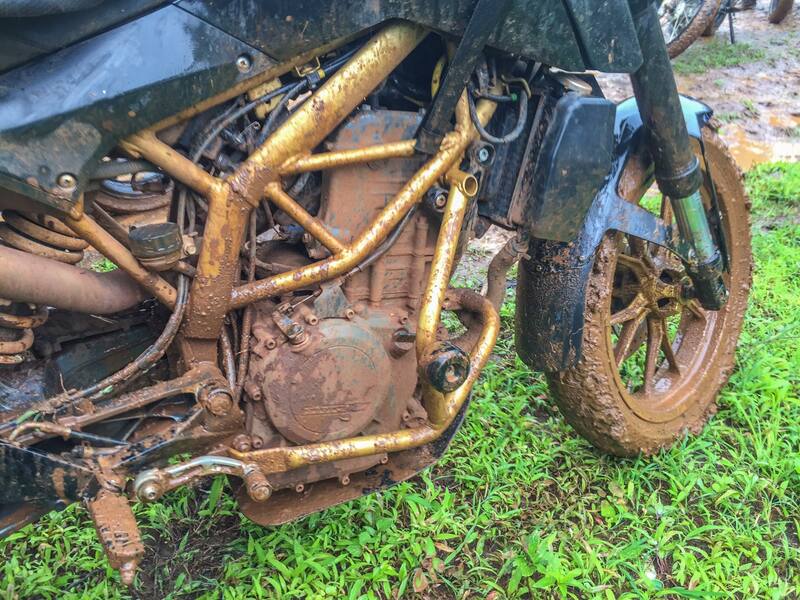 He was leading the pack when he suddenly veered off the highway and started riding along the edge of a reservoir. We followed him thinking that he knew a shortcut or something. Turns out the bugger was just looking for trouble. We monkeyed around a bit and then figured out what the man was up to. There is only so much fun you can have riding a motorcycle on a highway all day. It’s things like these that make long and boring rides interesting.